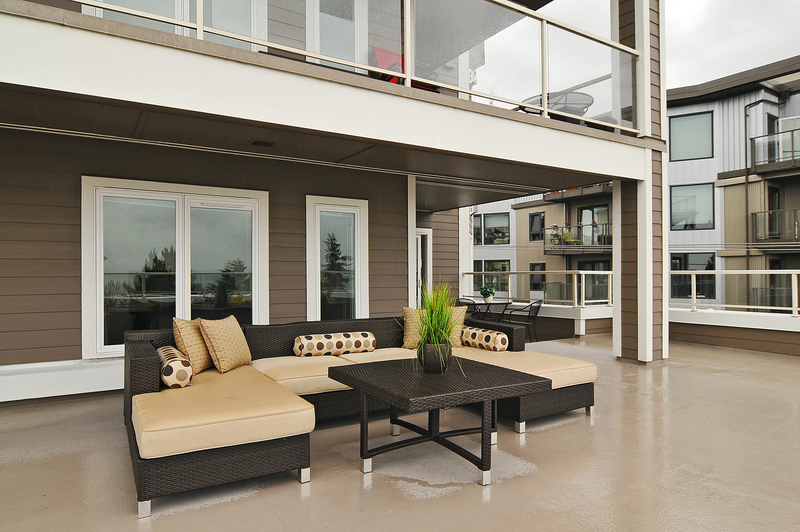 This is condo living at its finest! 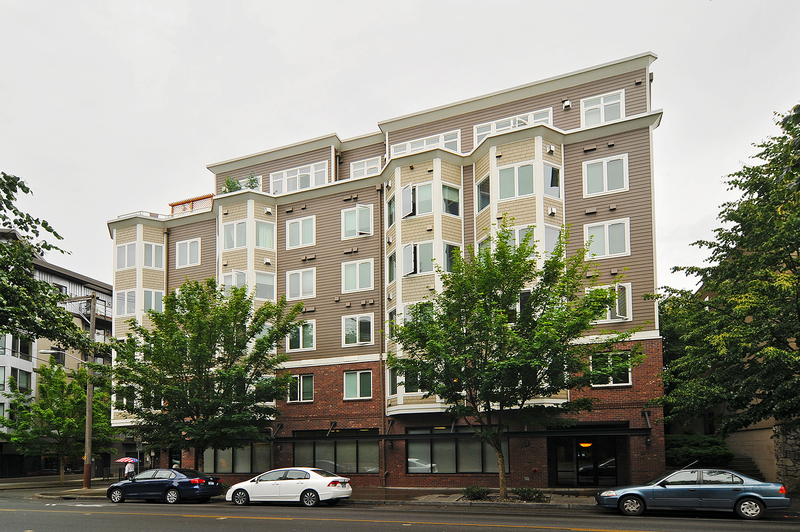 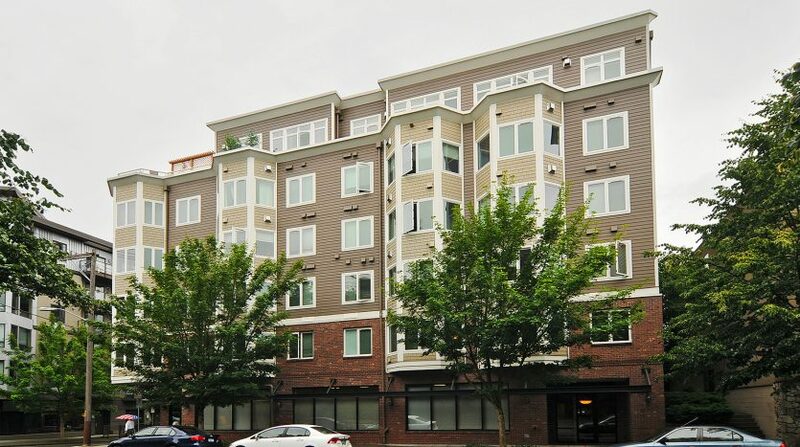 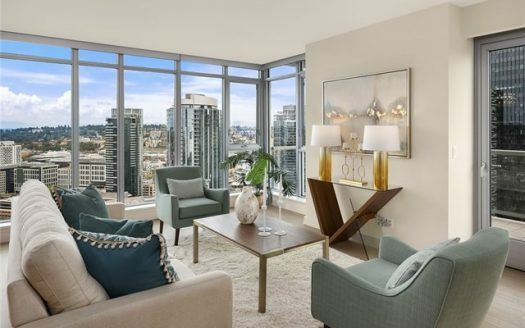 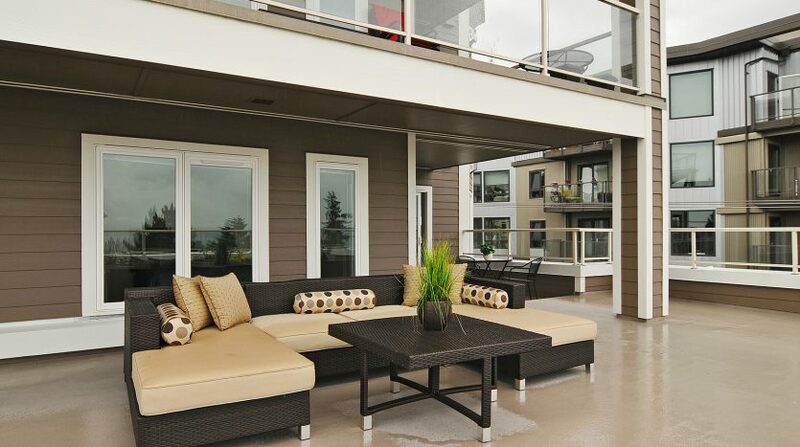 It combines the convenience and low maintenance lifestyle of urban condo living with an unusually large amount of outdoor space and proximity to all that the Alaska Junction has to offer! 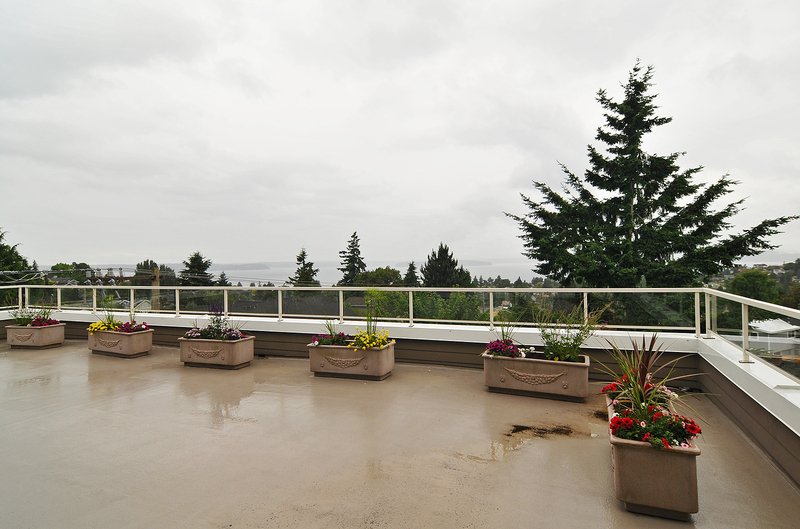 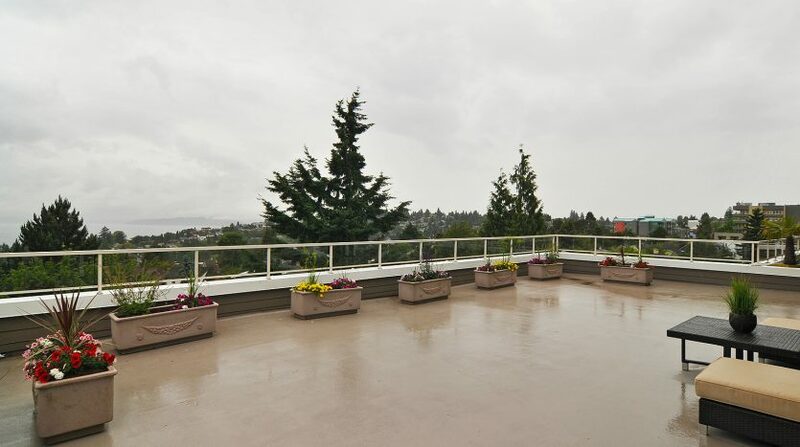 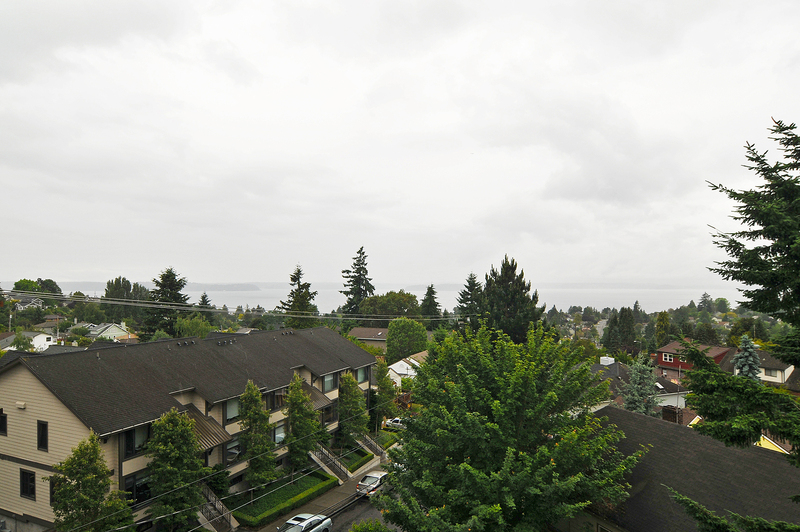 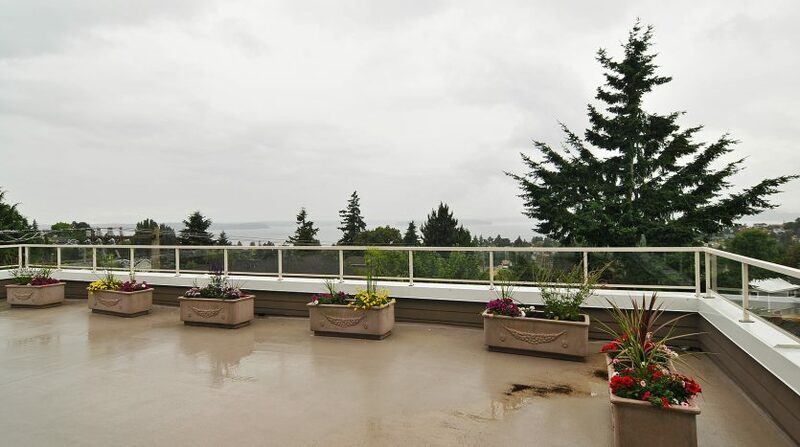 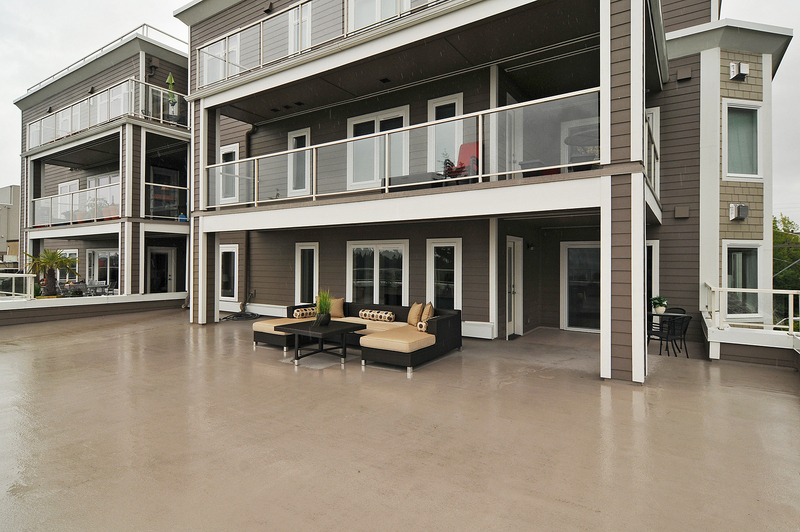 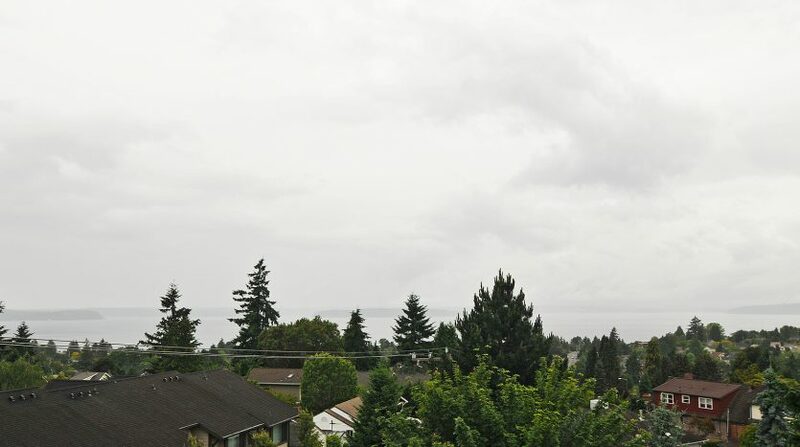 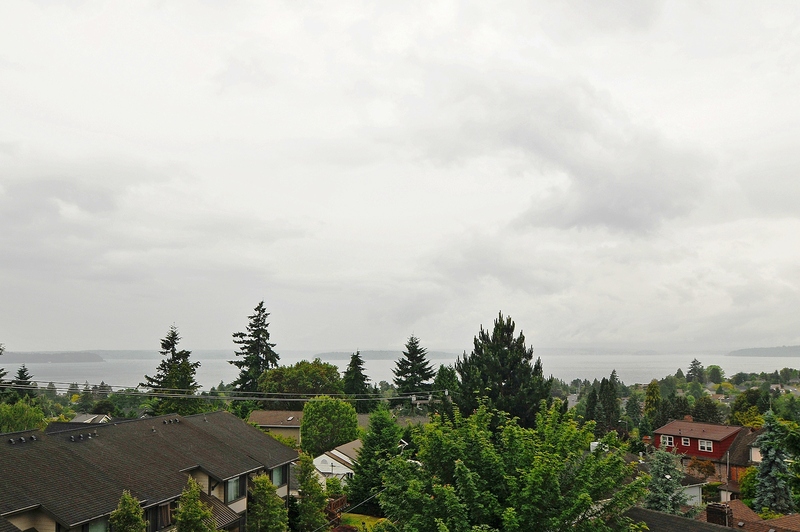 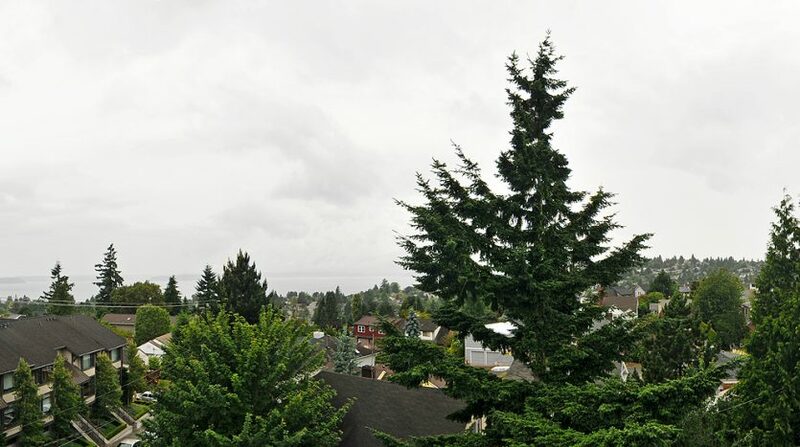 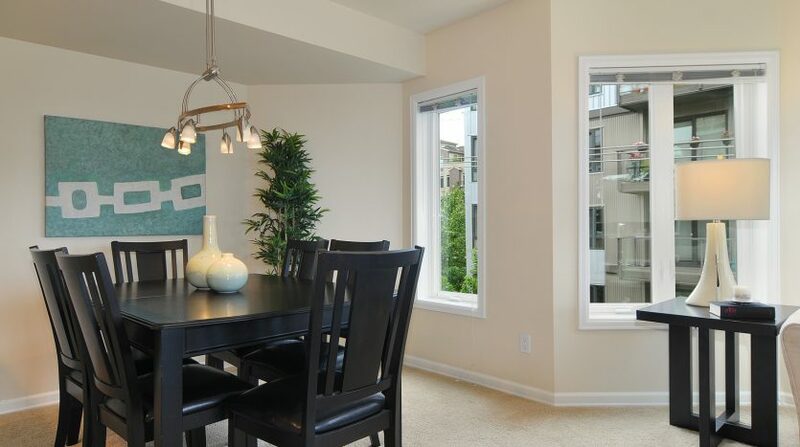 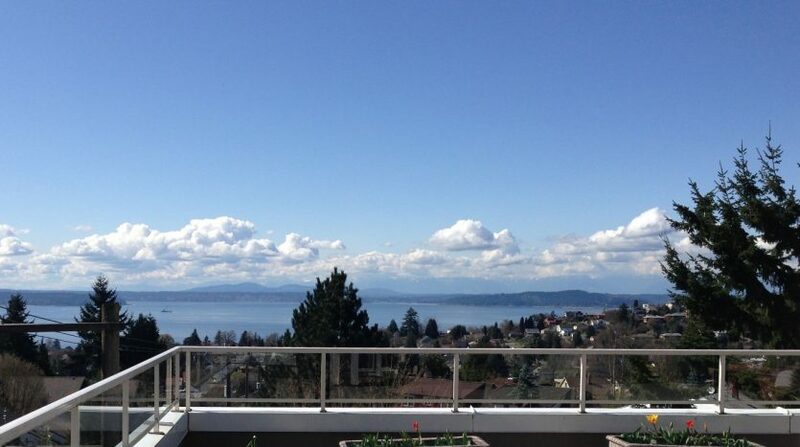 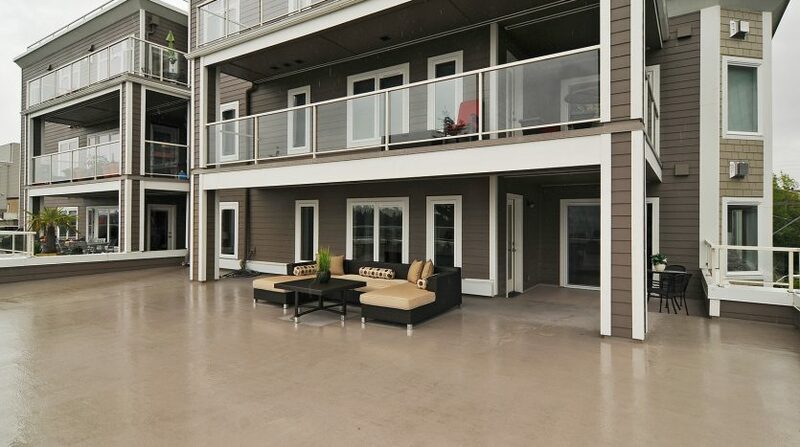 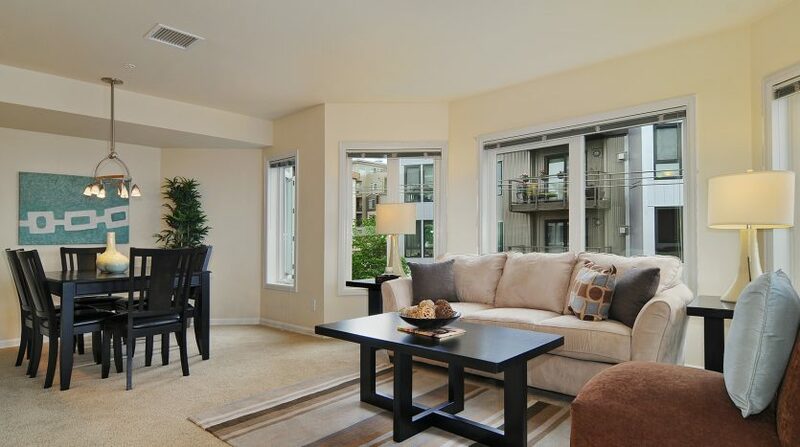 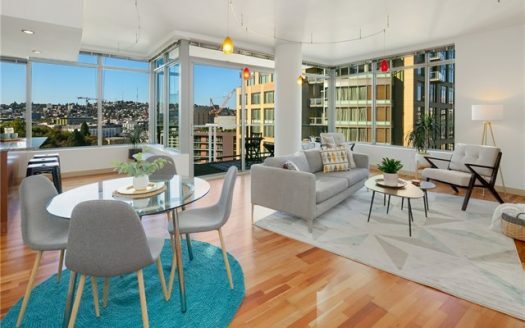 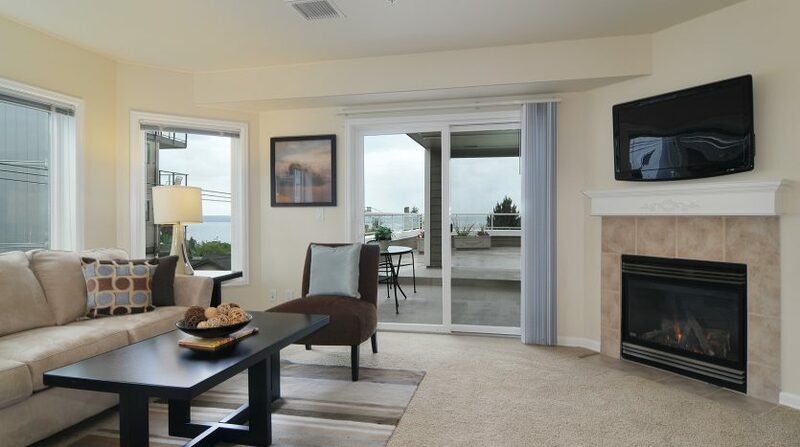 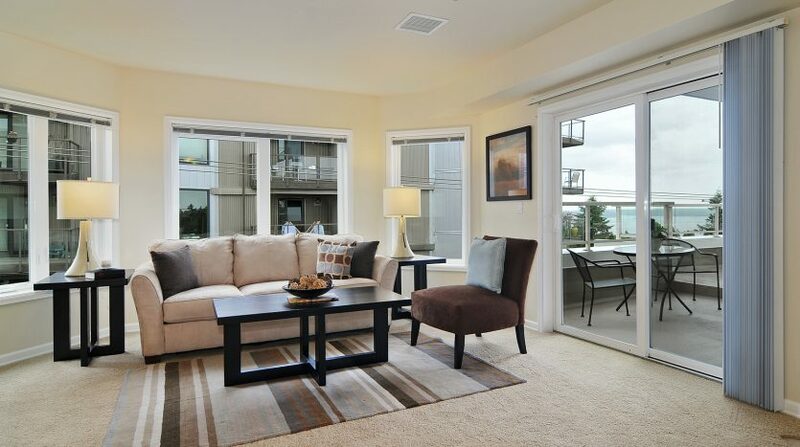 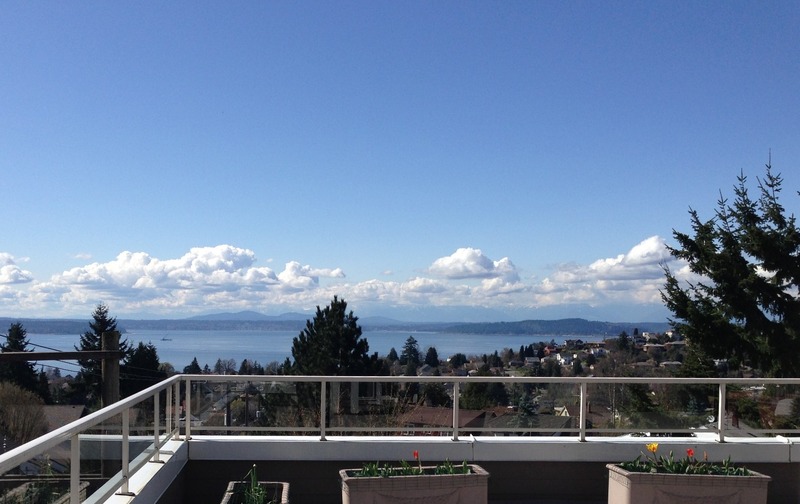 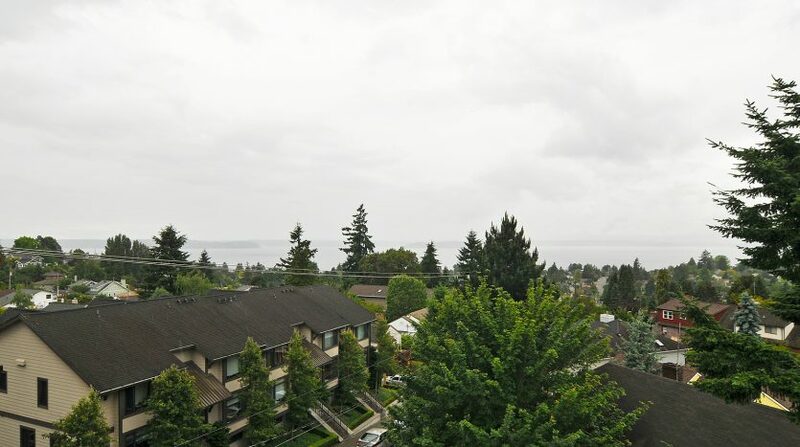 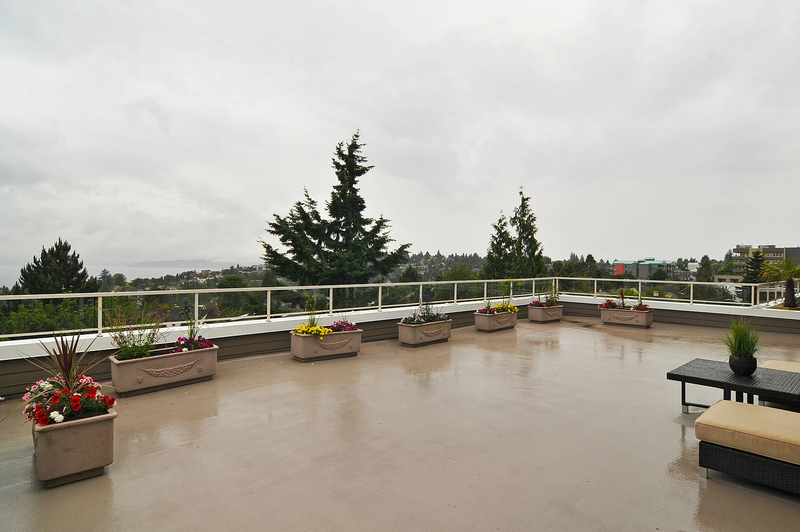 A very unique and exciting feature, this condo has a private 1200+ square foot patio space with Puget Sound views. 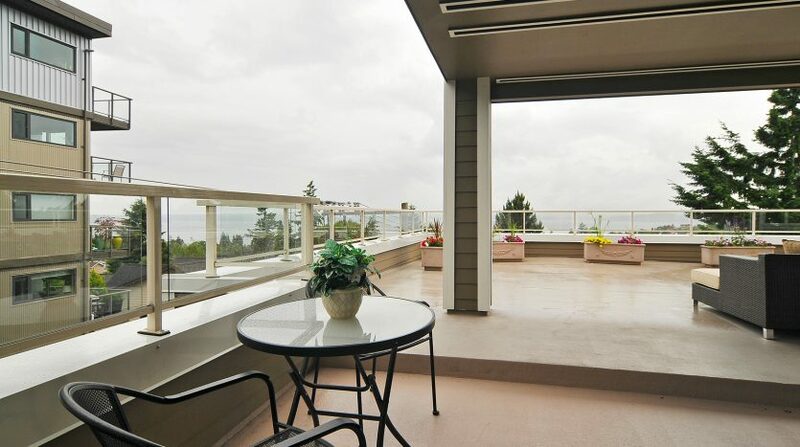 This massive outdoor space is perfect for soaking in the sun and enjoying the glistening views of the Sound. 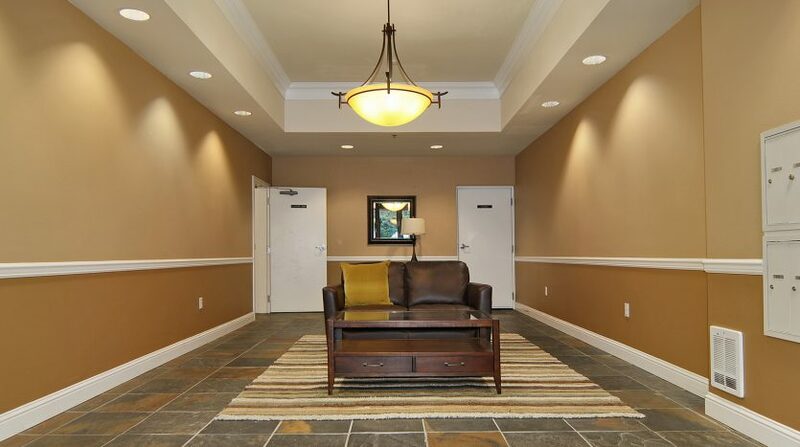 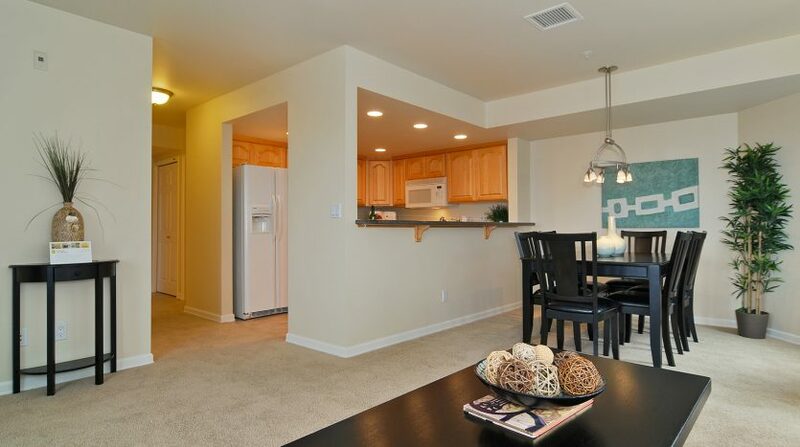 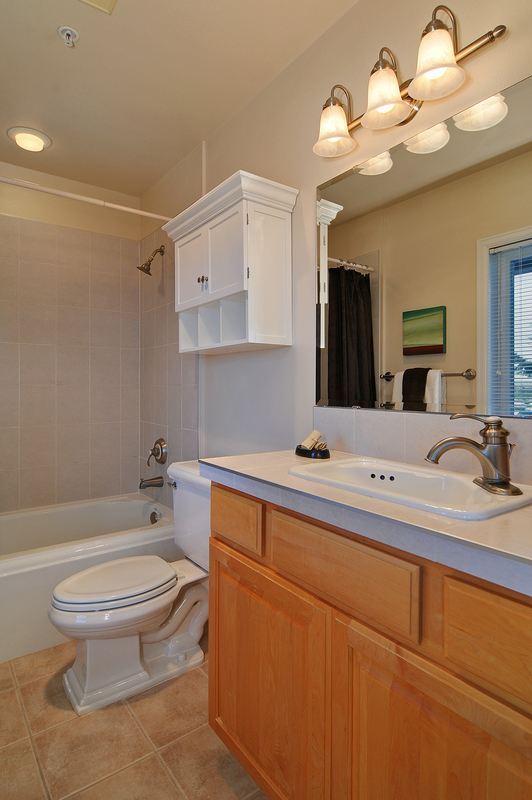 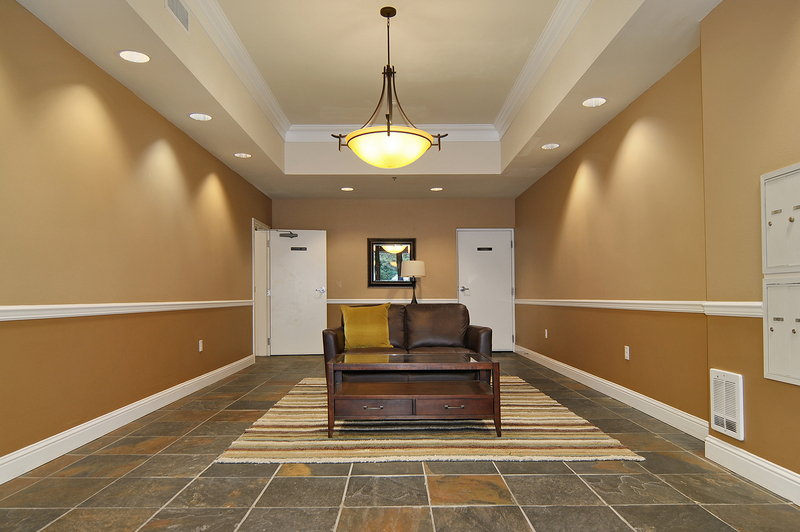 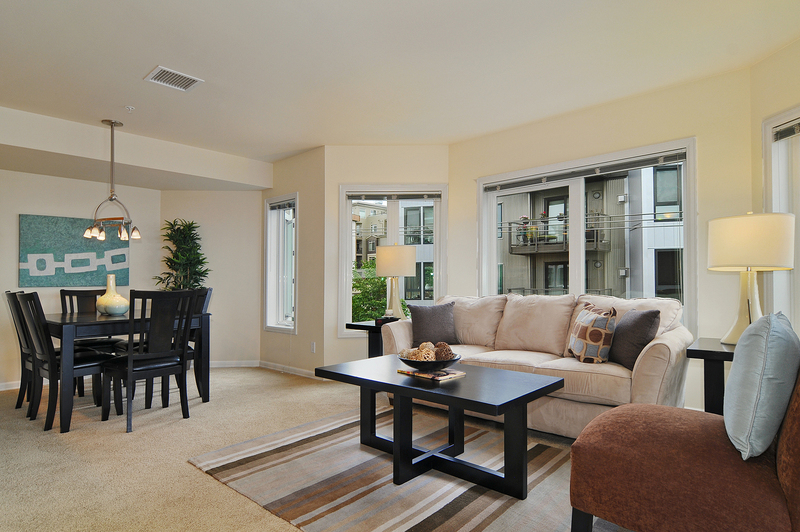 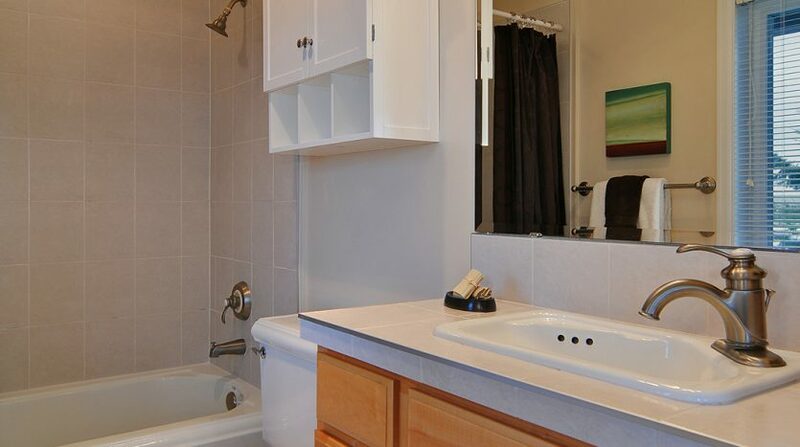 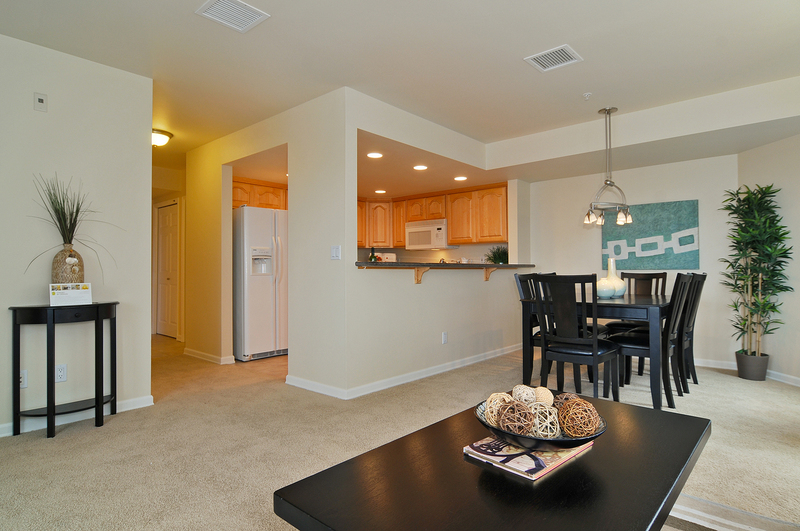 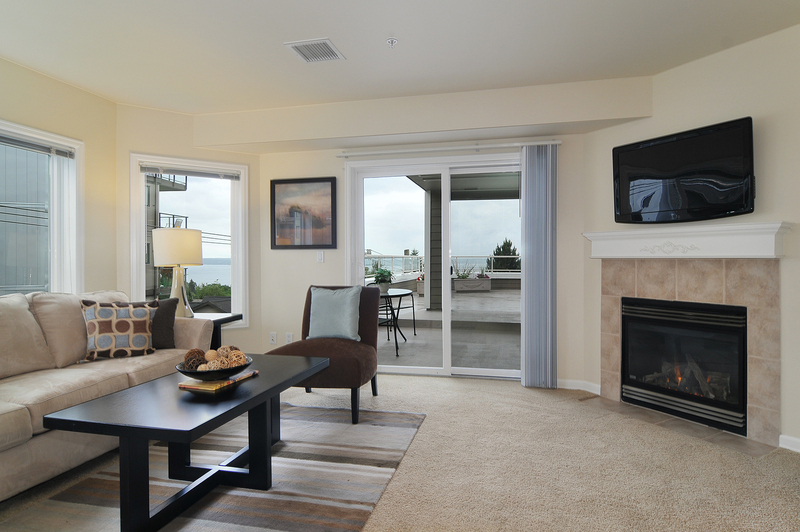 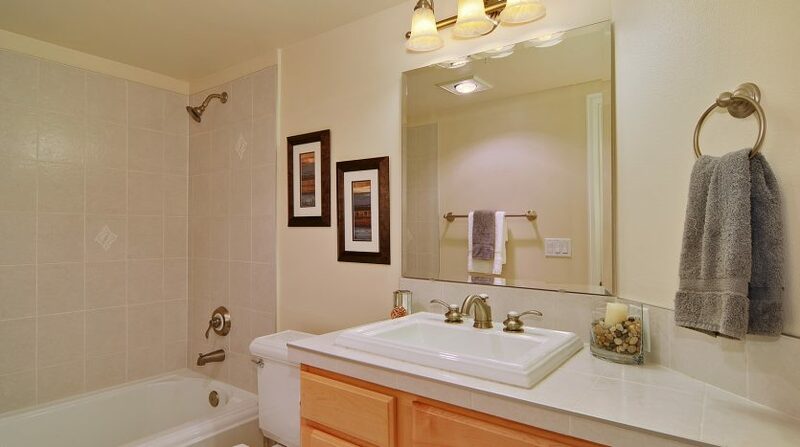 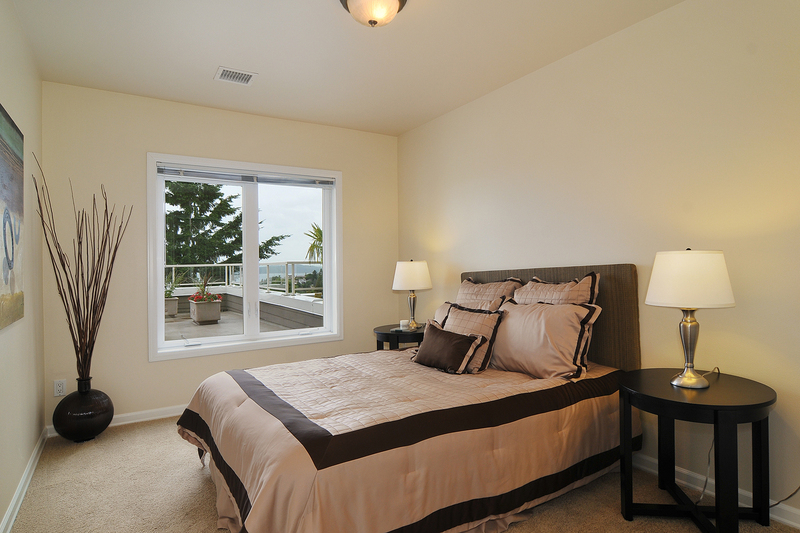 It is conveniently accessed from your living room and your master suite. 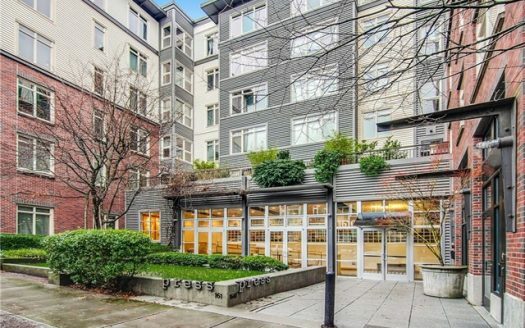 Inside this condo, you will find 1108 square feet of living space. 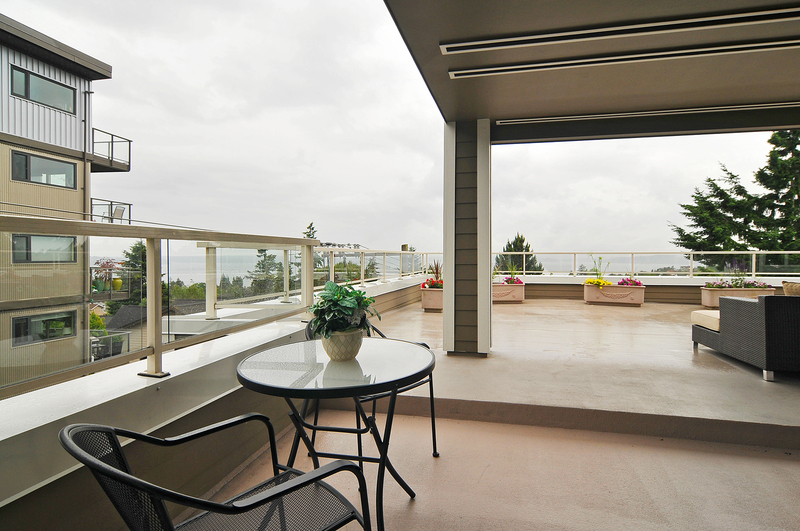 Entering through a foyer, you will be led into the living space which boasts beautiful views of the Sound. 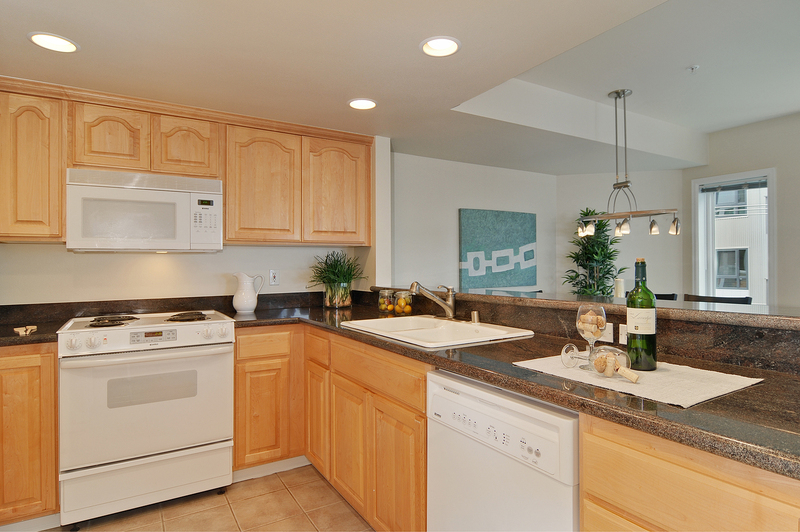 It is open to the kitchen and dining area and has a gas burning fireplace. 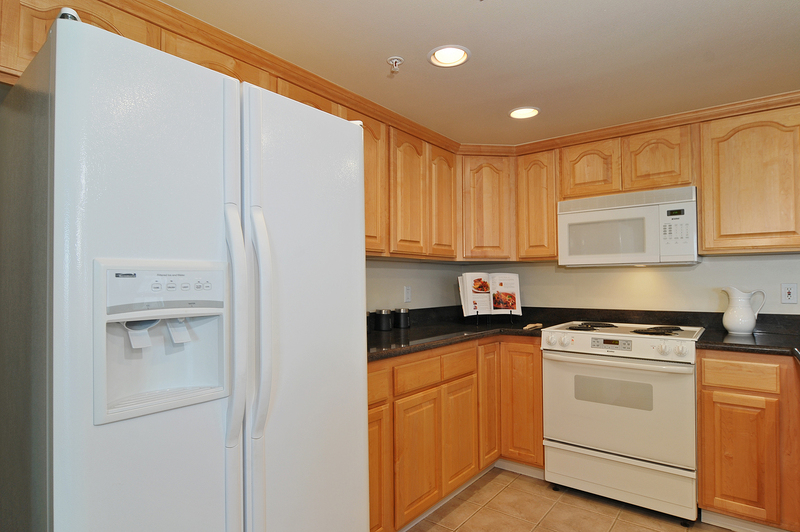 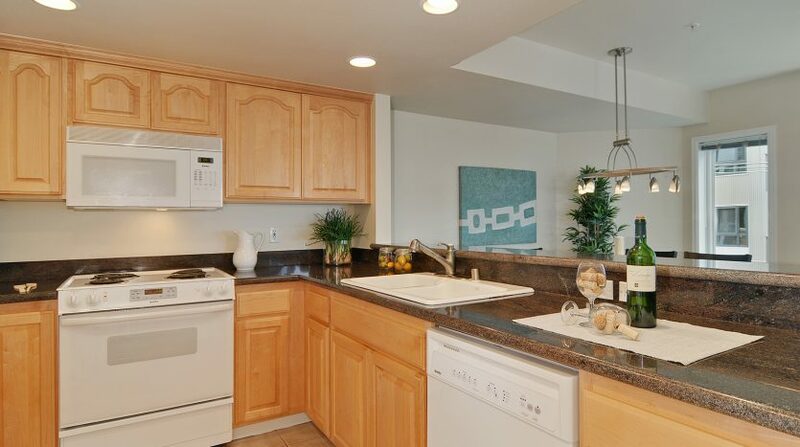 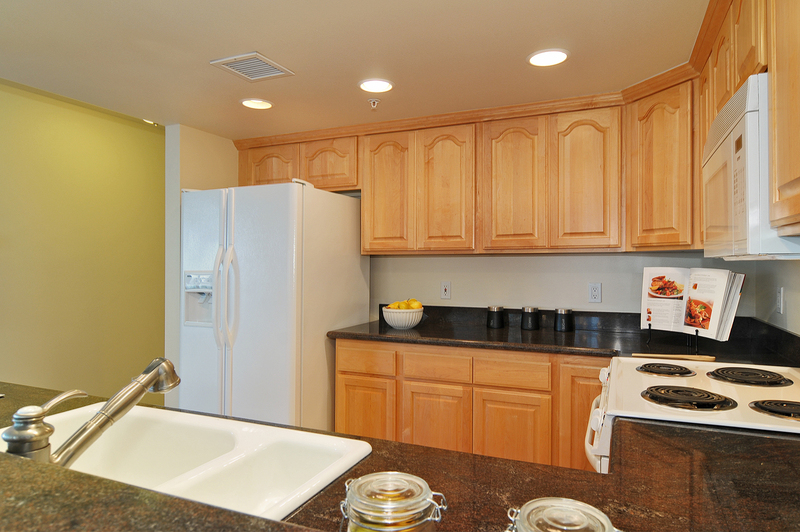 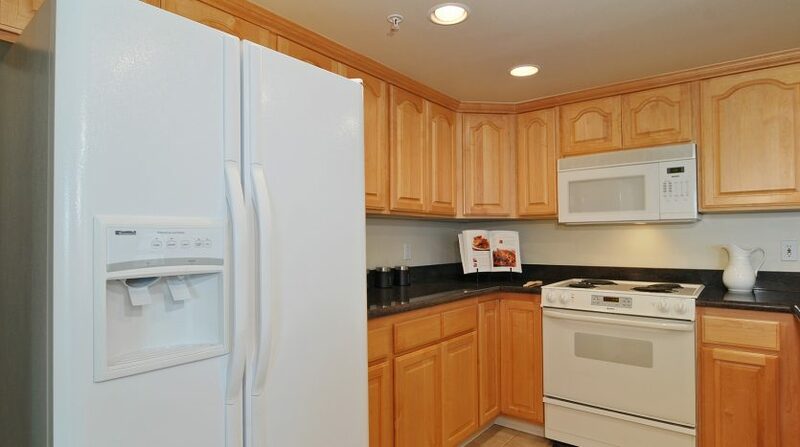 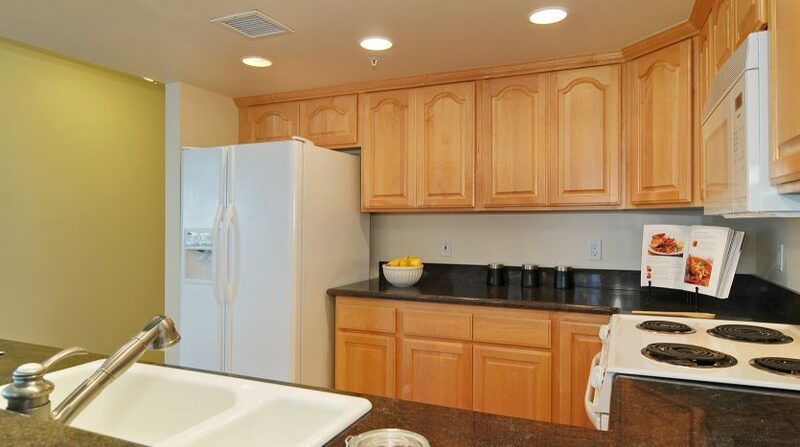 The kitchen is large and has tons of cabinet space and slab granite countertops. 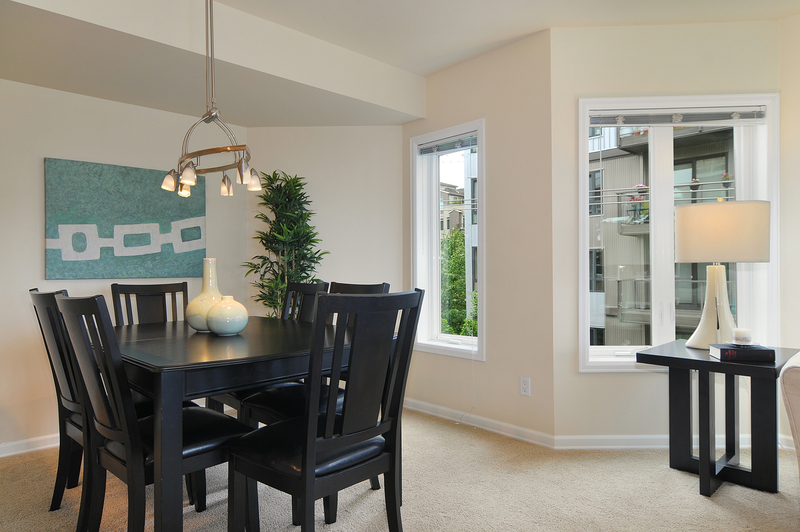 The eating bar is open to the separate dining space that is great for dinner parties or quiet dinners at home. 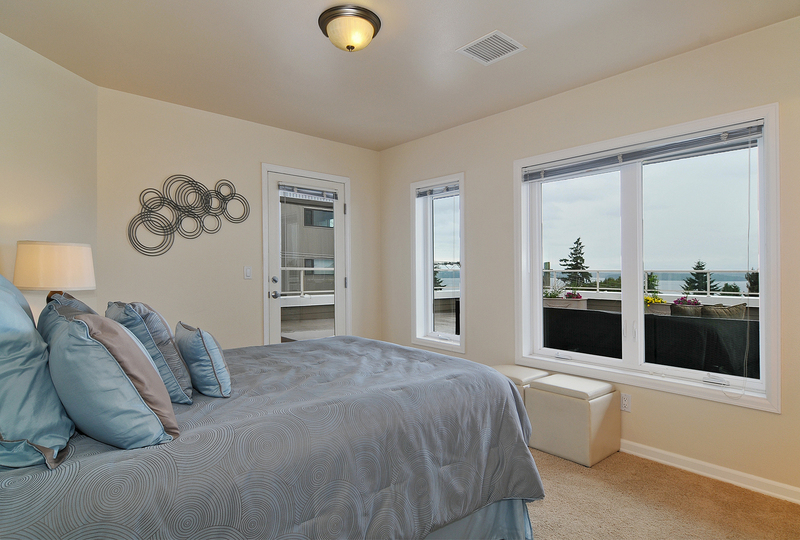 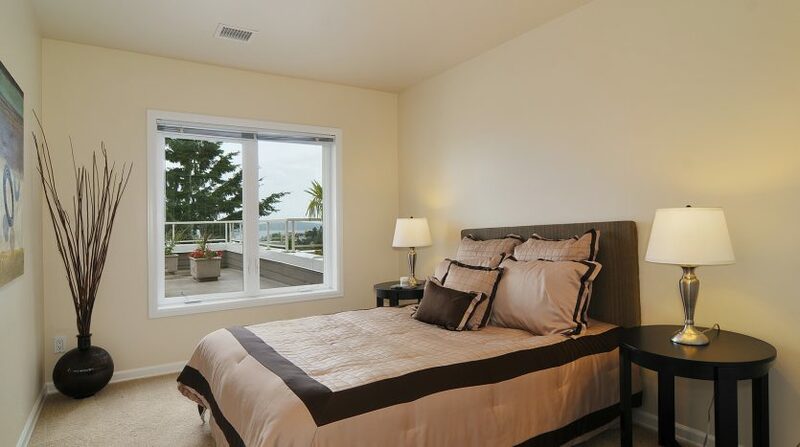 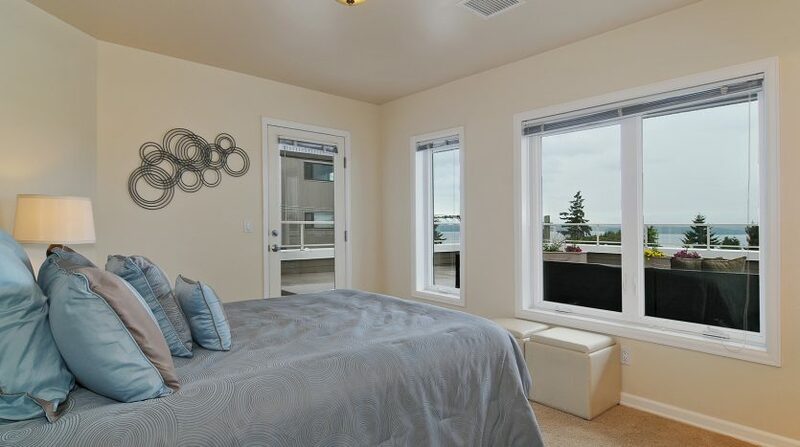 The master suite has an en-suite bathroom, walk-in closet and views of the Sound. 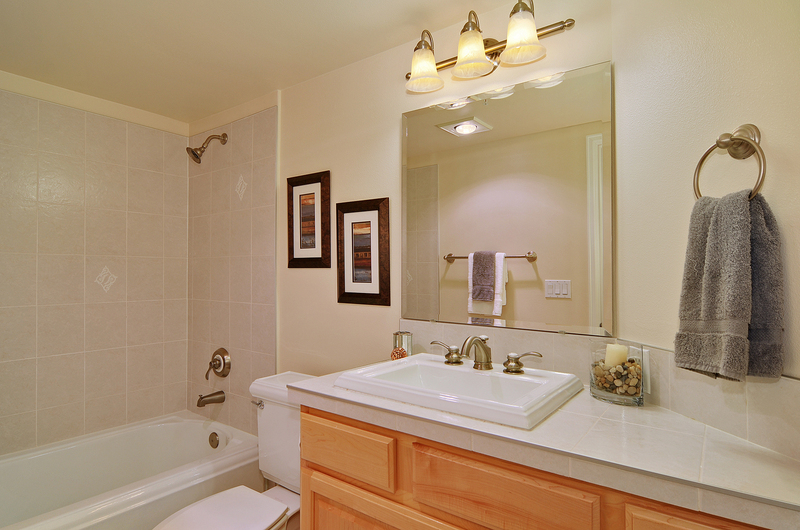 The 2nd bedroom and bathroom are great for guests, an office or whatever suits your needs most. 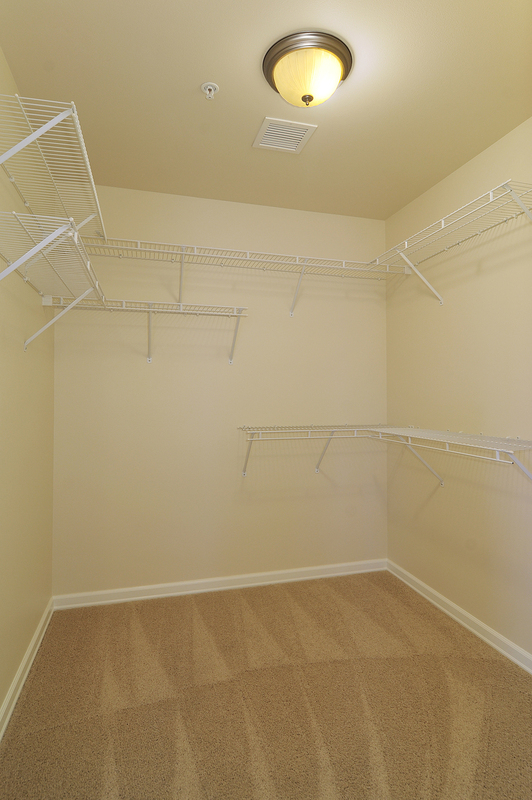 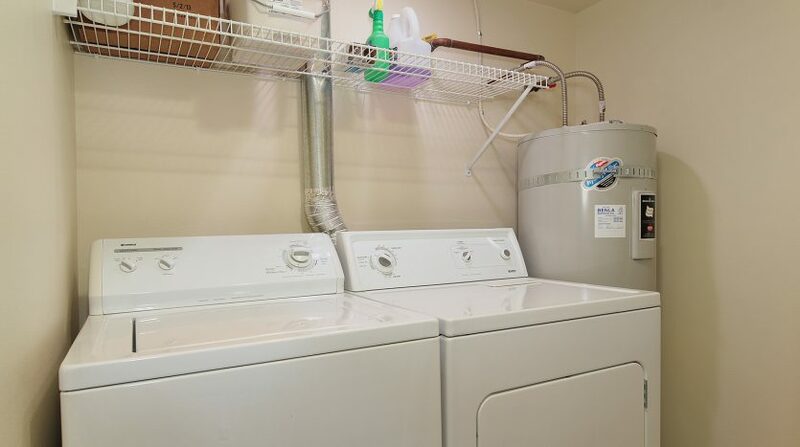 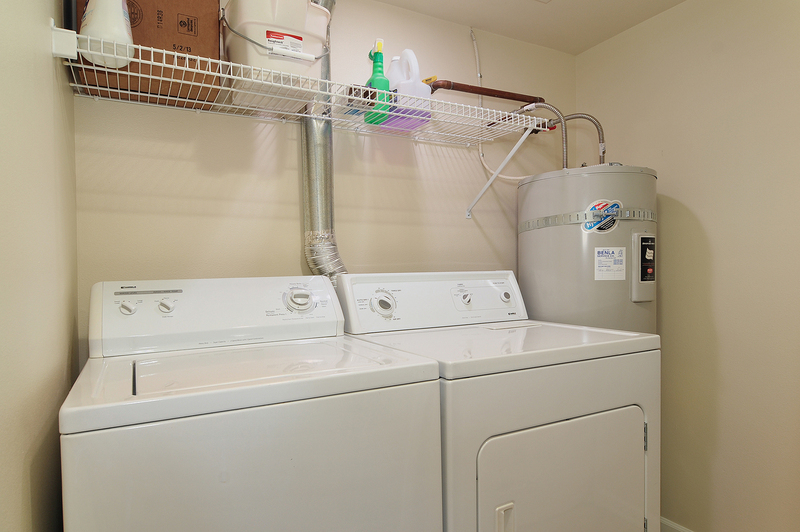 There is also a utility room with a full sized washer and dryer. 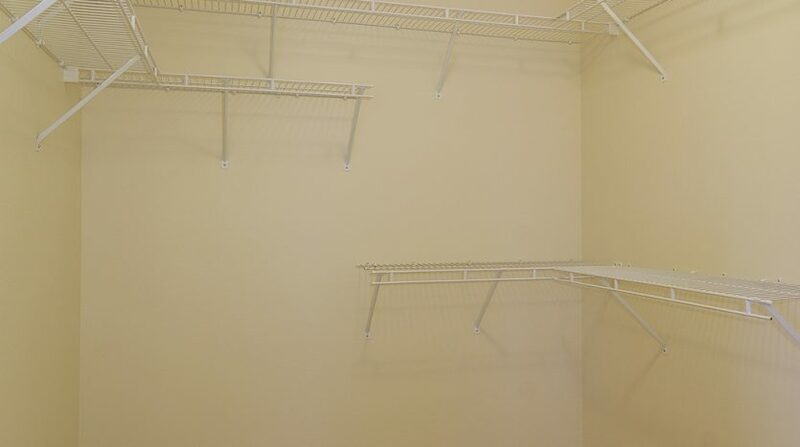 To top it all off, you have 2 parking spaces in the ground floor secure garage. 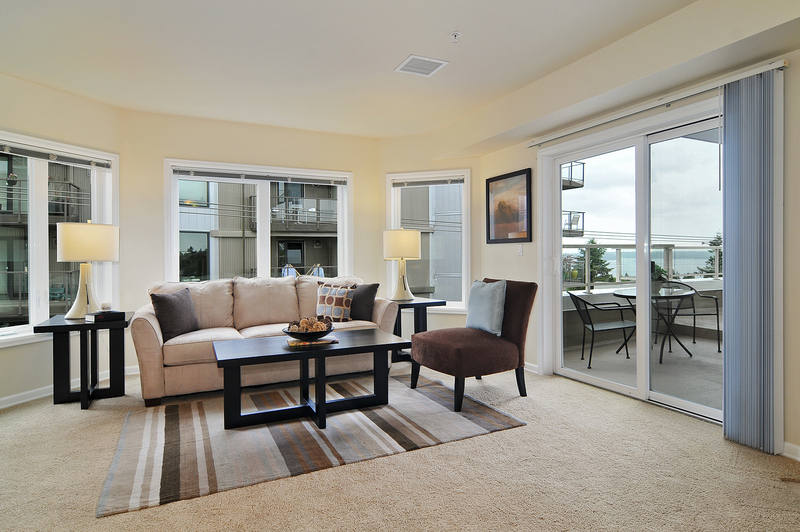 Though you may not need them with all of the shops, restaurants, cafes and services right out your front door!